The Occupational Safety and Health Administration unveiled a new web page designed to help prevent occupational hearing loss. The Noise and Hearing Conservation eTool is a joint product of OSHA's Alliance with the National Hearing Conservation Association. "This new tool offers practical information to help eliminate hearing loss for millions of workers who are exposed to high noise levels on the job," said Acting Assistant Secretary of Labor for OSHA Jonathan L. Snare. "We are fortunate to have worked closely with industry experts in order to provide this information to those who need it most." Noise is one of the most common health problems in American workplaces. The National Institute for Occupational Safety and Health (NIOSH) estimates that 30 million workers in the U.S. are exposed to hazardous noise. Exposure to high levels of noise may cause hearing loss, create physical and psychological stress, reduce productivity, interfere with communication, and contribute to accidents and injuries by making it difficult to hear warning signals. The new eTool features information on what is considered occupational noise and its potential health affects. It also provides detailed guidance on how to properly evaluate noise exposure and what constitutes an effective hearing conservation program. The site also references OSHA noise exposure standards and employer responsibilities. OSHA requires employers to determine if workers are exposed to excessive noise in the workplace. If so, the employers must implement feasible engineering or administrative controls to eliminate or reduce hazardous levels of noise. 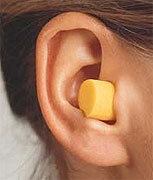 Where controls are not sufficient, employers must implement an effective hearing conservation program. Employers are responsible for providing a safe and healthful workplace for their employees. OSHA's role is to assure the safety and health of America's workers by setting and enforcing standards; providing training, outreach, and education; establishing partnerships; and encouraging continual improvement in workplace safety and health. For more information visit www.osha.gov.